Requirements for the bachelor's degree at JSU generally include at least 120-132 semester hours of appropriately distributed courses, a cumulative GPA of 2.0 overall on campus and satisfaction of the General Studies Curriculum, major, minor, residency, and all other criteria specified by the school or department governing the major. Students transferring from Alabama public two-year and four-year colleges and universities should consult the STARS/AGSC Transfer Guide for complete information regarding Areas I-IV for all majors, including the list of approved courses for Jacksonville State University. If an AREA V PAGE is not available online, please contact Transfer Admissions at 256-782-5268 or admissions@jsu.edu for additional information. Click the link below for your chosen major to access Area V requirements. 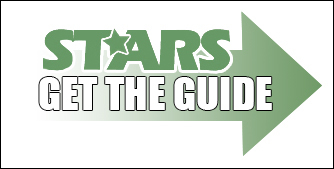 STARS Transfer Guide Area I-IV information may also be included with the required and recommended Area V courses.